Zinc plating is known as the “work horse” of metallic coatings for corrosion protection of steel surfaces. Zinc is a “sacrificial” topcoat used to protect the steel component underneath from corroding. 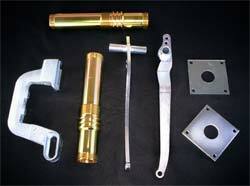 Zinc plating is the most economical type of plating in the industry. For instance steel bolts last much longer due to the fact they are sold with a coating of zinc or another similar type coating that has been applied by electroplating. Virtually all types of steel can be protected with zinc, including castings. Zinc coatings can be applied in many different colors with or without brilliant finishes. Zinc plating is available in yellow/gold, clear/blue, black and green, with the addition of topcoats known as “Chromates.” These topcoats can add many more hours of salt spray corrosion protection on the zinc-plated product. Chromate Conversion also known as “chromating,” is a chemical coating used to treat zinc plated parts as well as aluminum and other similar alloys. The most common use for chromating is to impart corrosion resistance to zinc, zinc plated steel, certain steel alloys and some aluminum surfaces. Most chromated parts retain their electrical conductivity to varying degrees. A process of adding a color or dye may be used for decorative or identification purposes. The chromatic coatings are usually gelatinous when first applied to the surface of the metal. As the coating dries, it hardens and becomes hydrophobic. The strength of some chromates are indicated by color, progressing from clear/blue to yellow, green and black. Generally the darker the chromate, the more corrosion resistance protection is offered. Chromate conversion coatings are common on everyday household items such as fasteners, hardware items, engine parts and tools. The term CHEMICAL FILM refers to aluminum. Many types of aluminum surfaces have the added protection of chemical film chromates to prevent oxidation. Staying current with industry demands, specifically the European Union’s (EU) and Japan’s directives such as End-of-Life Vehicles (ELV) and the RoHS, Sonic Plating Inc. offers “Trivalent Chromium” based coatings, which are EU approved. However, we continue to offer the traditional hex-chrome chromate for customers requiring its use. 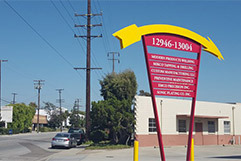 Offers properties to extend the service life of parts. Improves performance characteristics of the treated parts. Aids in the delay of corrosion (rust) on the plated surface. Minimizes oxidation of plated steel and aluminum parts. –Green, Olive Drab, Red, Purple, Dark Blue, Brown and Aqua Marine dyes available. We offer “Cronak” treatment on aluminum surfaced and cast aluminum parts. Sonic Plating Inc. offers a super conversion coating (chemical film) in addition to our traditional specified chromates. The “SuperSeal” film we use is the most corrosion resistant conversion “TOP COAT” yet to be introduced to the metal finishing industry. SuperSeal adds an additional 500 hours of salt spray protection against red rust when applied over a zinc plated and chromated part. For the ultimate corrosion protection, we recommend the SuperSeal application as a final coating for your plated parts. Passivation is the removal of free iron from the surface of stainless steel, which results from the manufacturing process of stainless steel. Passivation allows the chemical “clean-up” of the surface of stainless steel, thus removing very fine iron debris that attaches itself to the metal. If allowed to remain, the iron can corrode in the form of rust spots on the stainless steel. Passivation consists of immersing the stainless steel components in a nitric acid solution without oxidizing salts. The solution dissolves the imbedded iron and restores the original corrosion-resistant surface by forming a thin, transparent oxide film. The result is a stainless steel corrosion protection process without plating. Passivation offers a clean surface on the part(s) and eliminates iron contamination and rust discoloration. The surface is then ready for priming and painting if necessary. It is important however that you identify the type of stainless steel you need passivated. We do not recommend passivating stainless steel that has a carbonized/nitrided surface due to the fact the nitric acid bath will dissolve the surface and reduce the size of the part. Bright dipping is an effective means of cleaning the impurities off of the surface of BRASS, BRONZE and COPPER metals. Bright dip produces an almost similar brightness of polishing at a fraction of the cost. Bright dip leaves a nice finish to brass, bronze and copper parts while enhancing the appearance by cleaning away the tarnished look of the metal. Bright dip usually leaves a nice shine and reflective finish on the part. Bright dipping is advantageous to mechanically and/or hand polishing a product that has an unusual shape, contour, size or porous surface area. Bright dipping does not remove surface scratches or marks, yet it chemically polishes the metal surface. Hydrogen gas is liberated at the cathode during various pretreatment and electroplating processes. The hydrogen can embrittle the steel being plated. Certain types of steel are more susceptible to embrittlement than others. After plating, certain parts which are susceptible to embrittlement are often subjected to a heat treatment, or “baking” procedure. This procedure is known as “Hydrogen Embrittlement Relief.” The relief process serves to remove or redistribute the hydrogen from the plated part. Sonic Plating Co. Inc. has established several control procedures for baking finished products to help reduce the hydrogen within the steel part. We offer various bake treatment times depending upon a customer’s specific instructions. To learn more, we highly recommend you read our BAKING PROCESS and HYDROGEN EMBRITTLEMENT RELIEF links. We offer a wax coating that may be added to zinc plated surfaces (Zinc & Wax) of certain fasteners to improve the ease of assembly. Wax emulsion is sometimes a standard process coating for thread rolling screws as well as two-way reversible center-lock nuts. The wax film may be deposited as a clear film on bare metal, various zinc coatings and chromate conversion coatings to add some lubricating characteristics to the part. Wax dries and leaves a lubricating characteristic for threaded fasteners. Produces good adhesion and durability on various surfaces. Provides a temporary protective coating to help prevent corrosion during storage and shipment of parts. Can be used on all metal surfaces both plated and un-plated metal. Sonic Plating Inc. can strip your part(s) of an old zinc finish or an inferior finish that is common from foreign factories. We then take the raw uncoated metal and at a lesser cost to zinc plating, we oil the parts in an oil soaked bath. The result is a temporary corrosion protected metal surface that helps fight the formation of red rust build up, by utilizing a light coating of industrial oil protectant. Oiling is a fine temp-coat when one is not seeking to electroplate the product for long-term corrosion protection.